Springhead wrote: "Of course we will receive a lot of criticism, but we have physical proof. This tool is found all over Europe and North Africa. Of course you will get a lot of criticism , and provide a lot of laughs too . Similarity in style or function is not proof of diffusion. Never mind Occam , Goldenweiser's principle of limited possibility has been ignored yet again . I will continue to think that Goldenweisser was onto something until someone produces an oar which looks like an amphora. What an interesting man Alexander Goldenweiser was! I wonder how much more he could have contributed to the field of anthropology if he hadn't died so young? 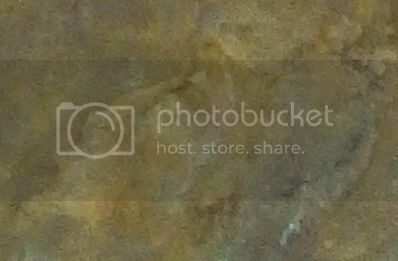 The posted images are of an artifact about two inches across. The right image shows the profile of a person facing left created with an apparent single blow chip removal. 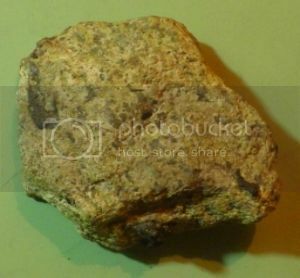 The left image is of the opposite side the rock in the right image. The subject matter here is a bison looking right. The eye, mouth, and right horn of the bison appear to be painted. Interestingly, the adage that human worked stone has at least six worked surfaces seems not to apply in this case (and perhaps countless other cases). The skill and forethought needed to accomplish such a work so efficiently speaks to a high order of intelligence and perhaps a well developed creative tradition. @Springhead: It's an ordinary lump of rock with no discernable image. I'm with Circ. I see nothing except a rock. We're not worthy if we don't see it? I regret you cannot see the subject matter in the images. To clarify things a bit, both images are of head profiles only. The right image shows the left facing profile of a person perhaps wearing a hat. 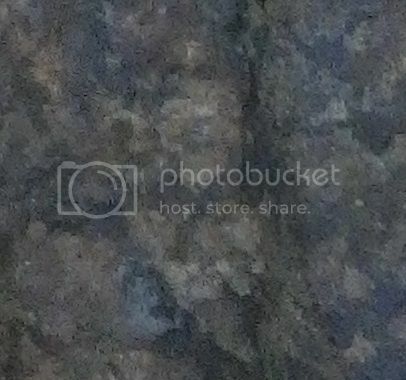 The protuberance on the left side of the rock halfway down is the nose. Also notice the sloping forehead and receding chin. The bison head's horn is on the upper middle left of the rock, the mouth lower right on the rock, and the eye midway between horn and eye on a slightly upward convex arc. I will not draw guidelines as you have expressed displeasure with such previously. I hope this helps. We are all worthy, it's just a matter of what we are worthy of. I think we all have our unique perspectives and associated brain characteristics that provide wide ranging methods of interpretations on any given task. Often we take completely different paths on our intellectual searches yet may arrive at similar conclusions. Then there is the right/left brain thing which can form a chasm of doubt between creativity and science. Maybe we are simply on opposite sides of that chasm and our conclusions have a local logic that does not work on the other side so well. However these differences are perceived, we still have the choice to work together with respect for others' cognitive stances. The tailors who made the "clothes " were conmen . The connection between the cons and the delusions are that neither are real . THE FOLLOWING IMAGE IS OUT OF FOCUS, BUT THE SUBJECT MATTER IS VISIBLE. 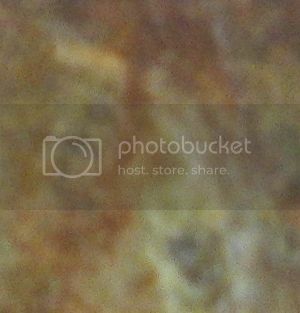 THIS IS A MICRO IMAGE SHOWING ABOUT ONE EIGHT OF AN INCH OF THE STONE ARTIFACT SURFACE. Despite complaints about micro image sharpness problems, I will post this in hopes that someone can see the subject matter. One method of viewing that helps is to simply look at the image for enough time to allow the subject matter to "appear." Initially one may see nothing but jumbled areas of muted colors. In fact, there are at least three people shown in this composition. On the left side of the image is a red haired full bearded man looking left. His face occupies almost the entire height of the frame and one third of the frame left to right. His eyes appear closed. On the right side of the frame is a woman, also red haired, facing almost forward and a bit to the left. Her hair, face, and torso to the waist are visible as may be a white dress, all of which is seen in the entire height of the frame. 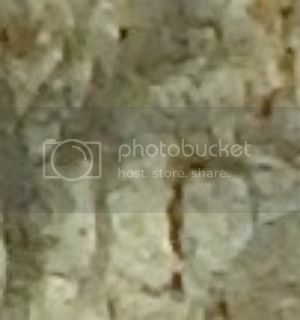 In front of her and in the lower right center of the frame is another person, perhaps a child, looking right in a three quarter view with mouth agape in the apparent process of vocalizing. Less apparent is the image of a big cat looking down and right in a three quarter view in the upper left corner of the frame and composed using the nose and left eye of the red bearded chap. The cat is superimposed over part of the man's face and demonstrates the often used artistic technique of multiple characters sharing shapes and features of others nearby in the composition. The broad whitish horizontal stroke at the forehead of the man forms the brow ridge of the big cat. The nature of shared elements illuminates compositions where subject matter can change as it is viewed, but not necessarily by manipulating the artifact, though changes in stone angles, attitudes, light, and moisture can accomplish this as well. I consider this to be a portrait with the big cat symbolizing an important aspect of cultural or personal belief relative to the group. Thanks for your patience with this image. In light of recent news and the thread subject concerning faint or obscure markings on stone only visible in certain light and light/angle conditions, perhaps we should be looking for less obvious artistic workings in stone artifacts and architectural elements. There may be a subtle record of expression that has been overlooked in our press to understand the previously unknown in western terms which may lack certain perspectives in mind set to catch "hidden" artistic content. It's part and parcel of the search for rock art to be aware that degraded engravings will only be visible under certain lighting conditions ,(although moonlight is not one i.e. if you can see it in moonlight you will see it in sunlight ) or by using technology like photogrammetry and to a lesser extent laser scanning to highlight them . Earlier contact techniques like rubbing /frottage had their uses too , but did have obvious problems relating to potential damage of the subject and the subjectivity of the researcher . I have provided "before and after " examples where surfaces have no apparent markings but with oblique lighting and the addition of water to the surface they can be seen perfectly clearly . Your examples are not in that category as you believe you can see what you describe as figures in the pics , we can also see what you see , but realise that the markings are natural . Even with ideal lighting conditions and /or photogrammetry they will still look like natural markings on stone . ONCE AGAIN THE MICRO IMAGE POSTED HERE IS NOT IN PROPER FOCUS BUT IS SHOWN TO DEMONSTRATE VISIBLE SUBECT MATTER. 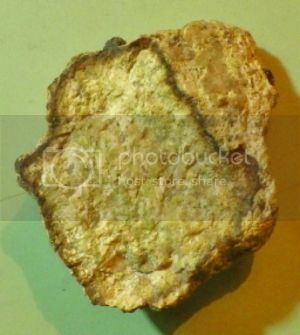 THE IMAGE SHOWS ONE SIXTEENTH OF A SQUARE INCH OF THE STONE ARTIFACT'S SURFACE. Thank you for your observations. I will consider it progress for you to have stated that you can see what I discuss despite the fact that you think the subject matter is composed of natural markings. With reference to the above posted image, I personally have a difficult time analyzing the many faces and heads visible as natural markings. Certainly any one example of such markings/carvings can be written off as a fluke of nature, yet when encountered time after time other explanations must be considered. The odds are stacked against one part of a rock appearing human with properly placed eyes, ears, hose, and mouth, etc, but when such representations appear side by side where individual characteristics are easily discernible, one must entertain the idea that these are works of art created by humans. Thank you for your observations. I will consider it progress for you to have stated that you can see what I discuss despite the fact that you think the subject matter is composed of natural markings. With reference to the above posted image, I personally have a difficult time analyzing the many faces and heads visible as natural markings. I, and I'm sure others here, have always seen what you imagined were the work of humans . Springhead wrote: Certainly any one example of such markings/carvings can be written off as a fluke of nature, yet when encountered time after time other explanations must be considered. .
And that explanation was pointed out to you some time ago . Here are two more examples of micro images. The top image shows many faces in various attitudes and with many different expressions. The lower image shows a guy looking left with his head tilted back in an upward gaze. This subject takes up the entire height of the frame. "Nature's" accuracy with facial features, grooming, clothing, color tones, and posture in a geomorphological process over great expanses of time defies logic and chance when one applies a geofact explanation to the question of whether or not these artifacts show human creativity. Since I am not the only person who sees these subject matters, it seems irresponsible to sweep all these people into a class of afflicted beings who cannot help themselves in their efforts to analyze the artifacts they are finding. Time may tell as deeper holes are dug and folks become less constrained by the status quo. 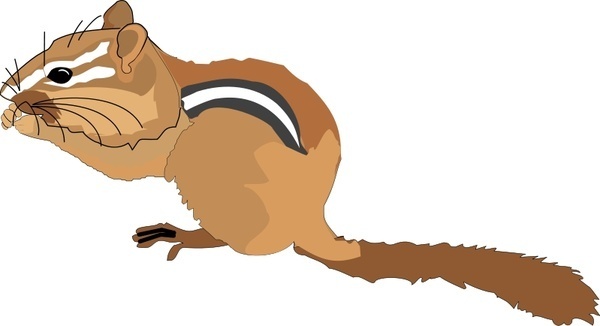 If I really strain my imagination in the second one I can kind of see the top of a cartoon chipmunk.